Phase Technology's 70Xi-SS significantly increases lab productivity and improves profitability by providing quick, precise test results. And with its new automatic, "single shot" sample injection port, the 70Xi-SS is the fastest, easiest-to-use Phase Technology analyzer yet! 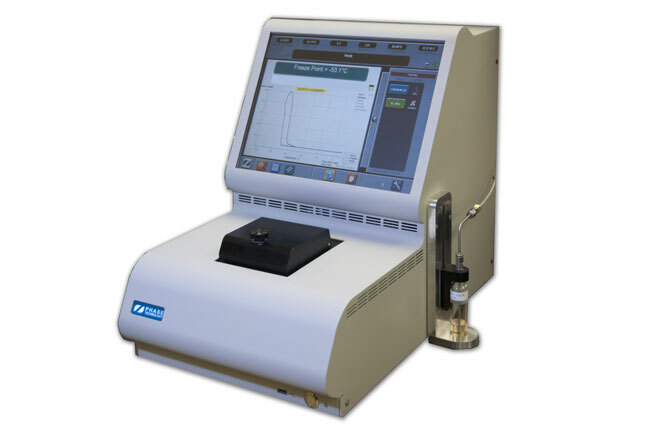 The 70Xi-SSi features a new, side loaded automatic sample injection port. There's no longer a need to manually pipette. 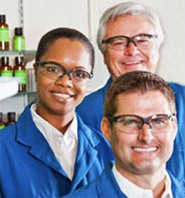 The analyzer always draws the precise amount of sample as required by the ASTM method. The 70Xi-SS is completely self-cleaning, without the need of solvents. Save time and hassle of cleaning, and avoid any risk of damage to the sample cup. 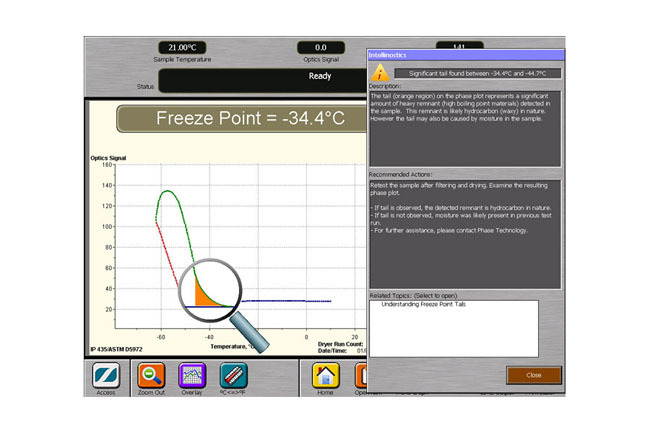 Automatic sample input – No pipette required. 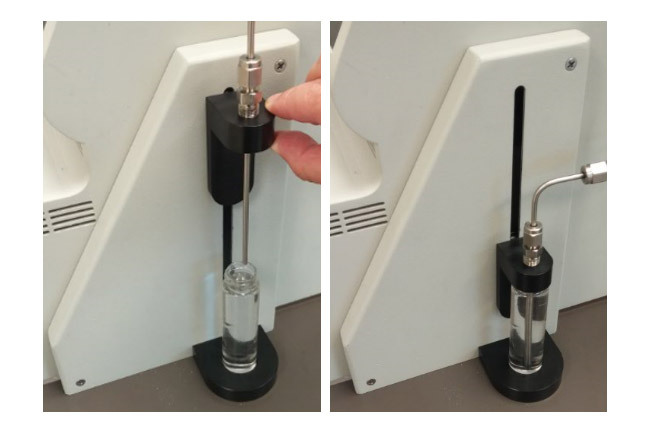 New vial injection system loads sample automatically. 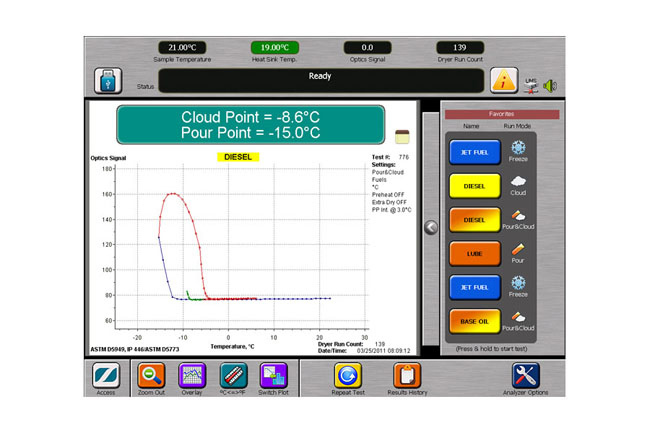 Introducing Phase Technology 70Xi Series Analyzers: Learn about the full line of Phase cloud, pour and freeze point analyzers. Which one is best for you? 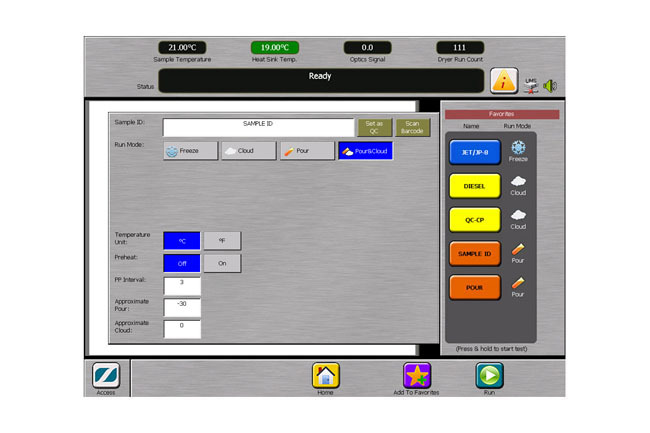 Phase Technology 70Xi Analyzer Operation: See how easy it is to use Phase analyzers. One touch is all it takes! How to Replace Desiccant: Learn how easy it is to replace desiccant on all Phase Technology 70Xi series analyzers. 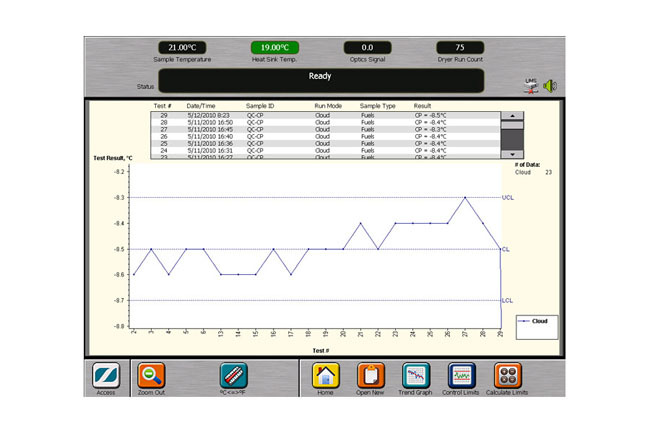 Phase Technology 70Xi-SS analyzers are designed to test diesel and jet fuels. You can purchase Phase Technology products from our global network of authorized sales agents. To find an agent near you, please contact us. Need a quote? Complete our contact form and we'll respond either by phone or email right away. Please be sure to check the “Request a Quote” box under “I am interested in,” or type in your specific request in the “Comments/Questions” box. In a hurry? Call us directly at 604-241-9568 for immediate attention during business hours (8 am - 5 pm Pacific Standard Time). You can also leave a voice message and we’ll return your call. Contact a Sales Representative about this product.